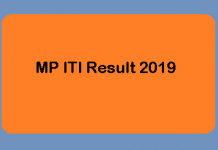 The Result of ITI Jharkhand 2019 will get released by the Jharkhand Joint Entrance Competition Examination Board. The JCECEB will release the Jharkhand ITI Result 2019 in an online mode, i.e, on the official website of the authority. One, who wants to gain the result will have to opt the course which he/ she appeared in. After the same, the screen will reflect a list, upon which the names of the qualifying candidates will be printed. Open the official website of the authority, i.e, http://jceceb.jharkhand.gov.in/. Click on the link of the result. The list of the names of the qualifying candidates will be reflected on the screen. The candidate is expected to print enough hard copies of the result for future purposes. Name of the qualifying candidates. Roll No. of the candidates. Date of Birth of the candidates. 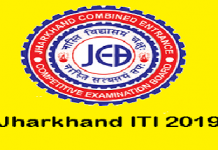 JCECEB shall be releasing the merit list of Jharkhand ITI 2019. The Jharkhand ITI Merit List 2019 will get issued expectedly in the month of May 2019. The JCECEB will release the provisional merit list firstly. It will do so because many times, the candidates do have a doubt in the merit list. If in Jharkhand ITI, any candidate faces such a problem, then one can raise objections against the same. After the applicants have raised the objections, the authority will work upon it. Post this procedure, JCECEB will issue the official merit list post which no further challenges shall be accepted. After all the procedures until the result have been held, the authority will conduct Jharkhand ITI Counselling 2019. In the counselling session, the procedure of the document verification will take place. In order to complete the same procedure, the applicants will have to bring some particular documents to the counselling centre. After the procedure of document, verification takes place, the authority will return the documents back to the candidates. 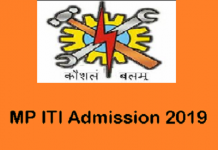 The result of ITI Jharkhand will be released in an online mode. One, who has qualified the examination will have to attend the counselling session. In the ITI Counselling Session 2019, the candidates will have to bring the required documents to the counselling centre.